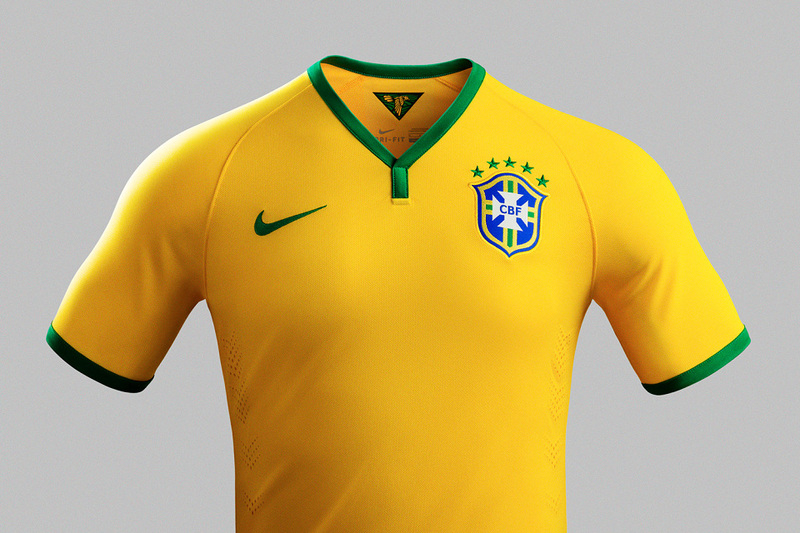 Brasil will be hosting the 2014 FIFA World Cup and Nike has unveiled the official National Team Kit of the host. 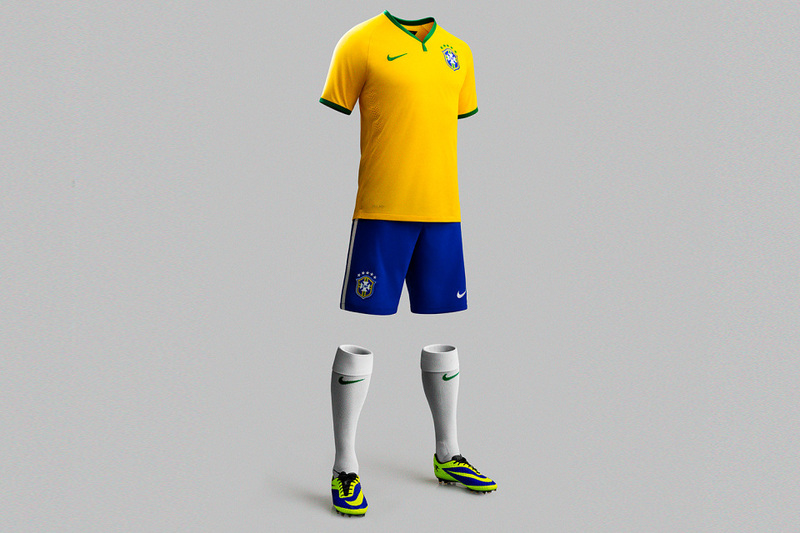 The design of the new kit does not show the vast amount of technology that's been packed into it. 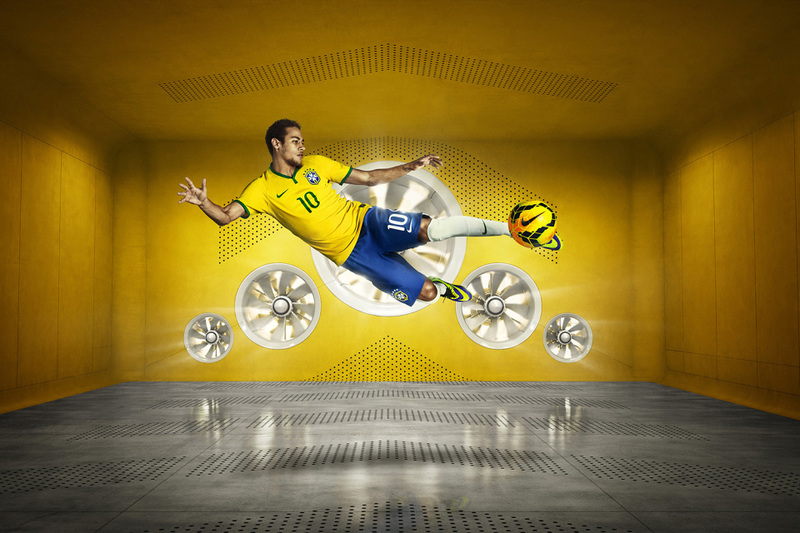 It uses a combination of Nike Dri-FIT technology, burnout mesh and laser cut ventilation holes, to localize cooling where players need it the most. 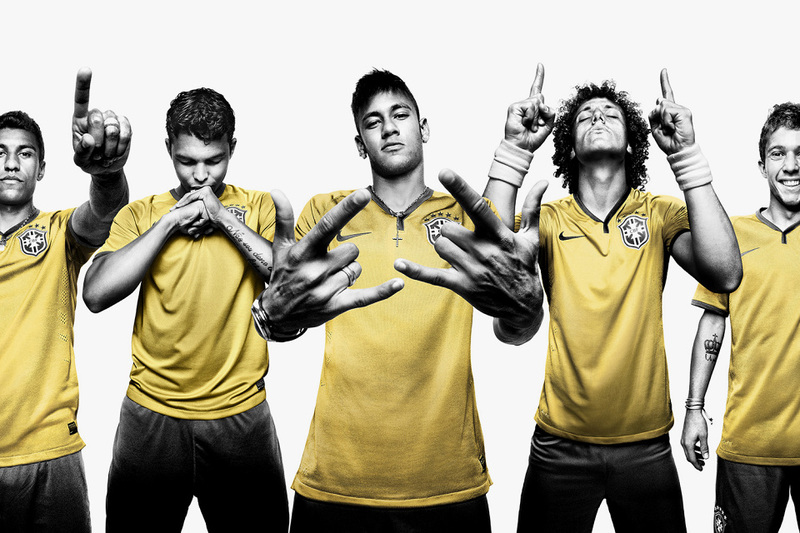 The Brasil kit is now available in Nike stores and on nike.com for pre-order from November 24th and will be for sale worldwide from December 5th.